Goodreads: When Eleanor Harper becomes the director of a renowned artists’ retreat, she knows nothing of Cliffside Manor’s dark past as a tuberculosis sanatorium, a “waiting room for death.” After years of covering murder and violence as a crime reporter, Eleanor hopes that being around artists and writers in this new job will be a peaceful retreat for her as much as for them. Kritters Thoughts: A fantastically creepy book that has a little historical element and maybe a few ghosts. Eleanor Harper was previously at Cliffside as a reporter when the car accident happened that took two lives and now she has returned to become the director and from the beginning things have been a little creepy. I spoil the book a little mentioning the ghosts, but I am not revealing too much. I wish I had known about it ahead of time, I still loved the book, but I roll my eyes at a few moments with ghosts involved! I loved the historical aspect so much. To get an inside glimpse into a home that was used for TB patients and to see how those patients were treated was many things, but interesting is the only word I can come up with. 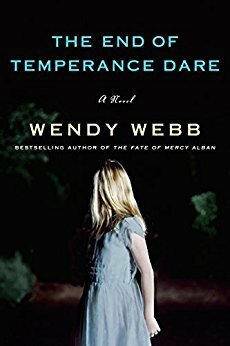 I enjoyed my first Wendy Webb experience and I own one of her other books and after reading this one, it has moved to the top. I loved how she slowly but surely gave the reader little bits of knowledge and the way she unpacked it was so perfect. I will have to add that this was definitely a creepy book and I was home alone when I finished it and maybe that wasn't the best idea! Disclosure of Material Connection: I received one copy of this book free of charge from Lake Union Publishing. I was not required to write a positive review in exchange for receipt of the book; rather, the opinions expressed in this review are my own.